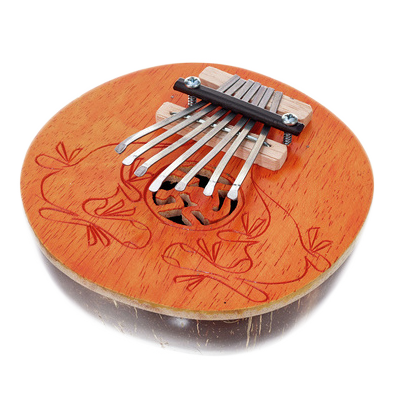 We joyfully present to those who still do not know this fascinating instrument of incredible therapeutic value in our Soundtrack: the Kalimba. 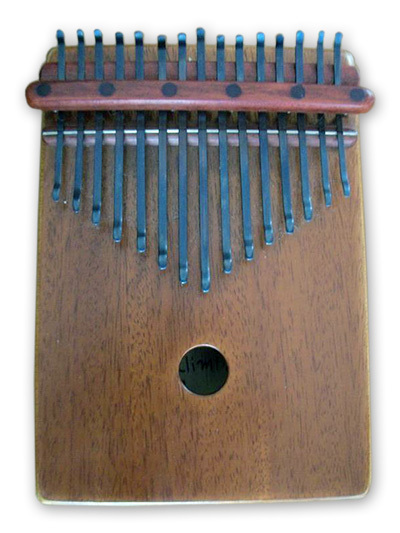 Of African origin, also known as mbira and by other names, it is a melodic percussion instrument played using the thumbnails (traditional style) or the forefinger and middle finger nails (Chandra style). Its tuning is very versatile; it can be changed by simply moving the metal keys to the shaft for higher notes or in the opposite direction for lower notes. Pentatonic Kalimbas – 5, 7 and 9 notes | In its small, medium and large sizes, tuned in scales of varied cultures of the planet, the kalimba becomes an valuable ally in the process of either infantile or adult music learning, or simply in moments of spontaneity and leisure, promoting mental relaxing and leading us throughout its sound landscapes of joy and gentleness. The pentatonic scale is one of the more archetypic melodic forms of the planet, being present in all ancient cultures in one way or another. For this reason, it is so efficient in the production of altered states of consciousness by its vocalization and/or contemplation. 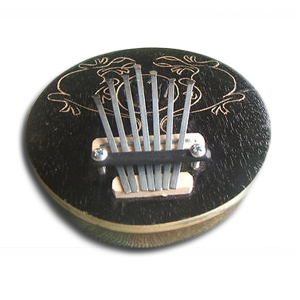 The striking effect “wah-wah” is achieved by opening and closing the center hole with the thumb of one hand. 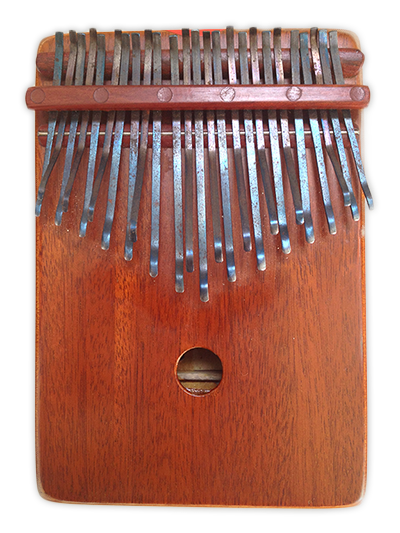 Diatonic Kalimbas – 15 and 17 notes | the renowned kalimbas of professional quality, those played in the numerous CDs of the musician Chandra Lacombe and also our favorites! With a deeper and lower sound, it is perfectly possible to follow several songs by making chords in this fabulous instrument, according to its pitch. The striking effect “wah-wah” is achieved by pulling up and down the base upon our thigh, where it is preferably played with four fingers. Kalimbas cromáticas – 25 teclas | professional model with a chromatic scale, allowing the musician to perform more complex harmonies, modulations, and all possible chords, further refining the possibilities of arrangement for this instrument. Watch here the declaration of love from Chandra Lacombe, the Az of Heart in Kalimba, during the Mantras Concert produced by SOM DA LUZ in September 2010! For those wishing to delve into the technical and style of Chandra Lacombe of playing with the index and middle fingers, we offer private lessons at home or in Tijuca (RJ) or Skype classes in English for the whole world.